As an ancestral treasure, at GOYA® we have bottled the essence of the Mediterranean diet, GOYA® Gazpacho, one of the tastiest recipes of Andalusian cuisine. Its origin dates back various centuries, fruit of the ingenuity of the era, when farmers and shepherds from the fields of the Guadalquivir River Valley, facing harsh summer conditions in southern Spain, had to keep themselves fed and hydrated. Ready to drink, ideal for eating with garnishes, as the base for sauces on appetizers, bread and toast, and why not start the day by having some refreshing and nutritious Gazpacho GOYA® for breakfast? Essential: best served chilled, or very cold. 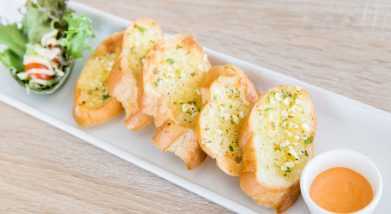 With our consumers and friends in mind, we’ve reinvented this marvelous, traditional dish without changing its basis. 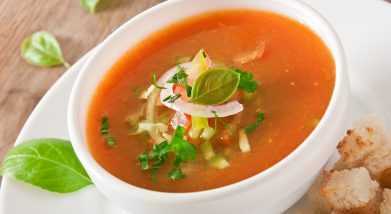 We’ve prepared it with the best ingredients in order to provide you with the best gazpacho. This classic and refreshing vegetable juice is made with fresh vegetables cultivated in Spain: savory sun-ripened tomatoes, refreshing cucumbers, delicious peppers, and the unmistakable taste of our garlic, all blended with our magnificent GOYA® Único Extra Virgin Olive Oil -a prized delicacy of world renown-, without forgetting the magic touch of sublime Sherry Vinegar and a pinch of salt. We receive the best vegetables daily from Andalusian gardens in small boxes which prevent them from deteriorating. We carefully select and choose the vegetables which are then blended at a temperature lower than 54ºF (12ºC). A greater sense of dedication during this process allows us to gain in quality, avoid oxidation and in this way, allow you to enjoy the authentic flavor of GOYA® Gazpacho. Your taste buds will transport you to the heart of Andalusia. 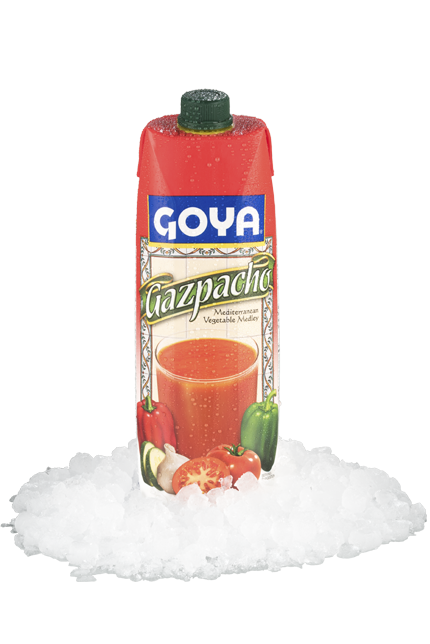 Discover a balanced explosion of flavors in your mouth with GOYA® Gazpacho; smooth to the palate, highlighting all of its ingredients equally, reddish-orange in color, gluten free, and suitable for any allergen-free diet. We bring the delightful memory of newly harvested fields and fresh vegetables to your table using pasteurization and the Tetra Prisma® Aseptic system, as a guarantee of food safety and freshness. Your gazpacho will have a 12 month shelf life! Gazpacho Soup with Avocado Recipe!Elaboration:First you'll need to have chilled a glass in the freezer, then fill it with ice cold GOYA® Gazpacho and savor this excellent vegetable juice, packed with vitamins and minerals! Gazpacho Soup and Toasted Bread Recipe!Elaboration:Give any appetizer an original twist by using slices of toasted bread.Let us share this handy and unique starter with you: Arrange various crostinis or small rolls on a plate, then pour and spread spoonfuls of GOYA® Gazpacho onto them.